People seem more divided than ever before over social and political issues, entrenched in their existing beliefs and unwilling to change them. Empirical research on mechanisms driving this resistance to belief change has focused on a limited set of well-known, charged, contentious issues and has not accounted for deliberation over reasons and arguments in belief formation prior to experimental sessions. With a large, heterogeneous sample (N = 3001), we attempt to overcome these existing problems, and we investigate the causes and consequences of resistance to belief change for five diverse and less contentious socio-political issues. After participants chose initially to support or oppose a given socio-political position, they were provided with reasons favoring their chosen position (affirming reasons), reasons favoring the other, unchosen position (conflicting reasons), or all reasons for both positions (reasons for both sides). Our results indicate that participants are more likely to stick with their initial decisions than to change them no matter which reasons are considered, and that this resistance to belief change is likely due to a motivated, biased evaluation of the reasons to support their initial beliefs (prior-belief bias). More specifically, they rated affirming reasons more favorably than conflicting reasons—even after accounting for reported prior knowledge about the issue, the novelty of the reasons presented, and the reported strategy used to make the initial decision. In many cases, participants who did not change their positions tended to become more confident in the superiority of their positions after considering many reasons for both sides. The online version of this article ( https://doi.org/10.1007/s11109-019-09526-z) contains supplementary material, which is available to authorized users. This work was supported by a John Templeton Foundation grant to FDB. The opinions expressed in this publication are those of the authors and do not necessarily reflect the views of the John Templeton Foundation. Ditto, P. H., Liu, B. S., Clark, C. J., Wojcik, S. P., Chen, E. E., Grady, R. H., Celniker, J. B., & Zinger, J. F. (2018). 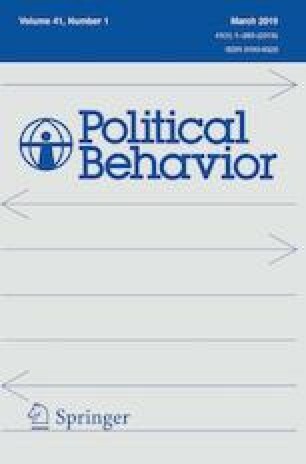 At least bias is bipartisan: A meta-analytic comparison of partisan bias in liberals and conservatives. Perspectives on Psychological Science, https://doi.org/10.1177/1745691617746796.